ICG Forms Alliances to Provide Answer Center Services to Include: Loading Your CRM with Prospects and Scheduling Your Estimates 24/7! 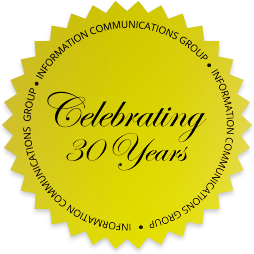 Over recent months Information Communications Group, Leawood, KS (www.infocg.com) has formed unique alliances with Logical Engine Newburyport MA (www.logicalengine.com), and HMI in Manitowoc, WI (www.hmicompany.com). HMI provides a business opportunity for starting a concrete repair business. Logical Engine developed and supports “Estimate Rocket” a robust app which supports contractors with: a CRM, a customized digital estimating platform and an E-marketing platform. The resulting combination is an advanced prospect and sales management program for small and mid-sized contracting firms. I have been consulting in the contracting trades for over 20 years. My experience suggests that at minimum small contracting firms leads cost over $25. (Total marketing/promotion costs divided by number of leads). Each lead lost due to; mismanagement of the first call, delays in the first contact and delays in scheduling your first estimate is costing that much in hard dollars beyond the missed revenue opportunity. Consider your own experience as basic market research. When you last called a professional for any contracting service and did not get through to someone on your first attempt what did you do? More than likely you called the next competitor on your list. Who got the job? Was it the first person to schedule and deliver on the estimate? Research suggests – YES. To what degree was your decision to hire the contractor influenced by your first contact experience? Professionalism, proper questions on your circumstance and need, availability? HMI had the vision of supporting its customer with an estimating and prospect management system that provided efficiency, standardization and a differentiating customer experience. Logical Engine developed the tech platform that is incredibly user friendly, scalable, and integrated. ICG introduced the concept of training their call center agents with access to any customers estimate rocket system and training. The package is nearly ideal for multiple industries and services. Currently ICG is accepting calls for multiple HMI concrete repair contractors, populating their systems, and scheduling their estimates. 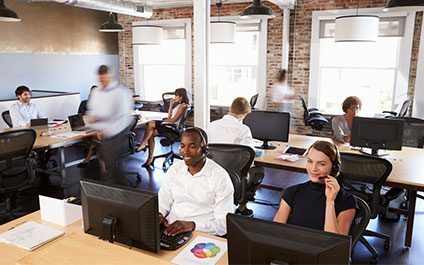 If you own or operate a contracting enterprise you may wish to explore the possibilities and efficiencies of levering technology and qualified call center support to increase your efficiency and create a customer experience beyond expectation. Irrespective of your specialty (concrete repair, painting, spray foam, home improvement repair, landscaping and MORE) it will deliver results in customer satisfaction and most importantly ROI. Paul DelFino is a principal of the consulting firm Opportunity Inc. For over two decades he has assisted entrepreneurs in growing their businesses, responding to economic downturns and merger and acquisition activity. He has consulted in multiple industries to include, technology, contracting, and communications. His publications include “Avoiding Skewed Entrepreneurial Strategies” available from all on line booksellers.